Life has a way of taking us back – all the way to who we’ve always been. Have you ever considered this, for instance, after speaking with a really old aunt that still talks to you like you are thirteen – and then you feel that way? My youngest brother called the other day. Andrew lives in Hattiesburg, Mississippi with his family, where he contracts within the hospital system. Hattiesburg is home for the University of Southern Mississippi. When I answered the phone his first words were, ‘You need to take this call,’ and then he handed the phone to someone who had been a lifelong hero (both pictured above). 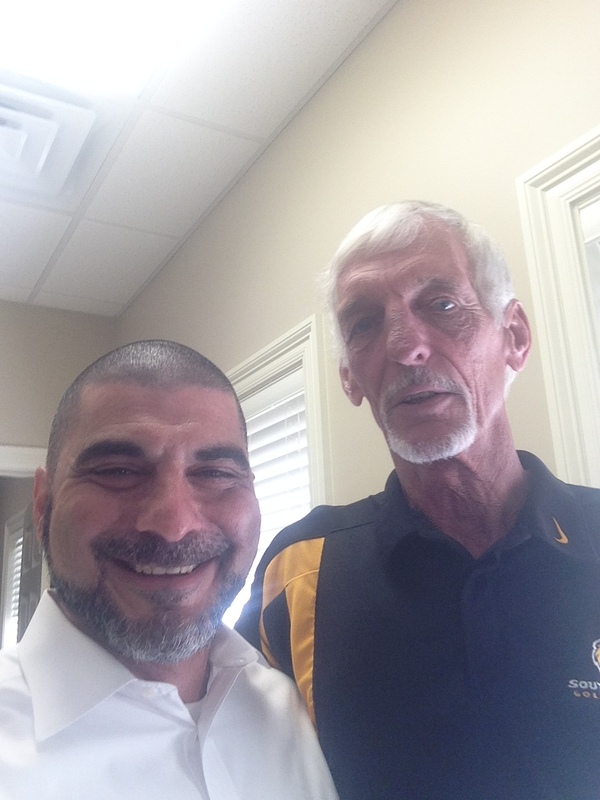 Ray Guy is one of Southern’s all time great players. 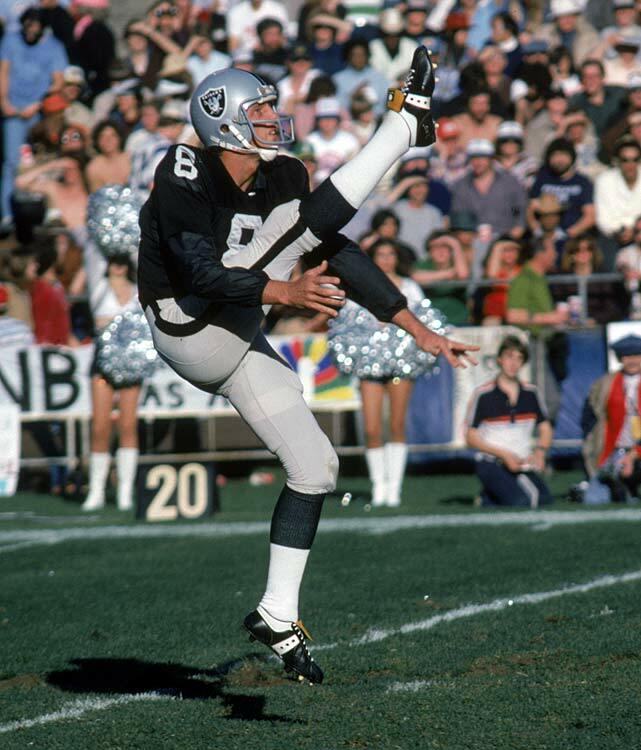 In a few weeks the University will celebrate his induction into the NFL Hall of Fame (the first punter to enter) after a career with the Oakland Raiders, from when I was in my teens. It just so happens that he works at one of the hospitals that my brother services, and they interact regularly. It would be an understatement to say that I was thrilled, and it didn’t take long for me to revert to fourteen years old, blathering into a near play-by-play of my favorite game of his pro career. 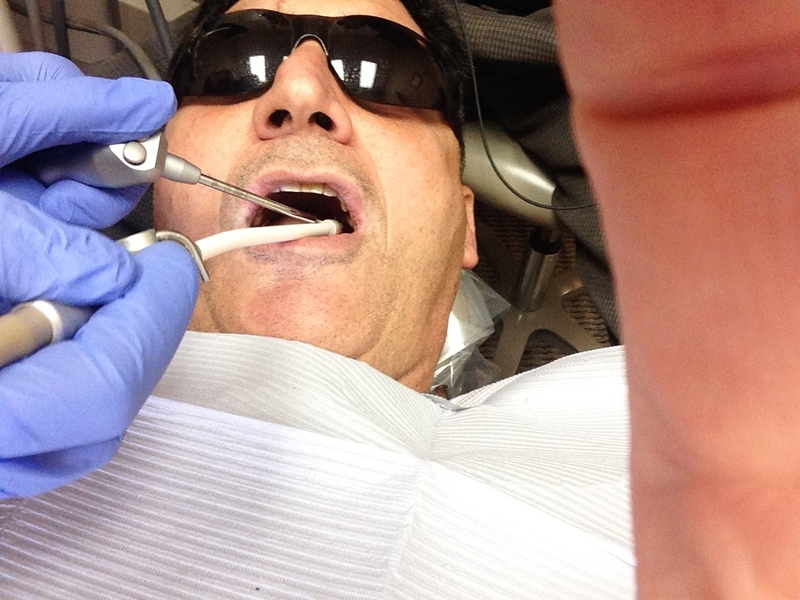 The other event is a much less pleasant one – the dentist (yes, that’s me). I was recently fitted for a new crown where an old one had worn out its welcome. I’ve already documented how traumatic it is to be a dentist-lifer. Interestingly, it occurred to me that I still talk with the dentist exactly as I did with others when I was twelve years old. Maybe it is the chair. The guy is young enough to be one of my nephews, yet I feel like a kid when he’s working on me. And that is the connection. We are always who we’ve always been. I have found that it is never of God whenever I am tempted to reinvent myself. Just track the saints and their stories. Though transformed by the gospel, they struggled with the same issues of weakness and sin that they had before they encountered God. This is because Jesus doesn’t reinvent us. He redeems us. He redeems us into the recognizable children God always intended for us to be, before the fall marred us and drove us into hiding. In doing so, He casts a lifeline in us, to others who thought it had to be another way. And so it will always be that the Father finds us most precious when we shed the exhausting pursuit of perfection, and simply live in the grace that will accompany us… until we are Home. You are currently reading Who We’ve Always Been at unfinished1.